Every day we eat up another bowl of alphabet soup of new acronyms, AI personas or buzzwords that come into our marketing nomenclature. 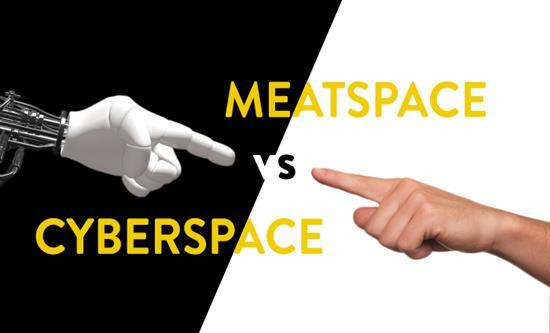 So it was not surprising that two people this week dropped a word I had never heard before … meatspace. You can google it. So when a friend who works for a large Australian Bank was talking about the Bank’s mission to transform it to be one of the world’s great servicescompanies with the appointment of a former Disney executive as its Chief Customer Officer at its helm, I was at least curious. He got talking about the magic Disney brings to create happiness in meatspace to the customer experience and at this point… I think he lost me. There is so much hype, opinions and content created at the moment around digital, mobile first, and AI propelled by both Martech and Adtech companies, we could be forgiven to think that Marketing will be gobbled up in this new Digital Age. Whilst there is some merit to this, I think we may have forgotten the importance of offline interactions that doesn’t all happen in the ‘cyberspace’. The message to our clients at Digital Alchemy has always been the convergence of the digital experience to meatspace aka “in the real (physical) world”. The smarter decisioning that allows optimisation of limited marketing budgets for maximum ROI. After all, 85% of consumers say they want a unified experience across both, but only 30% are actually getting one – that’s a massive opportunity right there. It’s not that digital is going to rule the world and be dissolved into everything we do. Rather how we connect the digital experience and the real world again where real people, bricks and mortar (banks, stores, even Coca Cola trucks) can enhance the customer experience through data collected in both offline and online channels. The four most powerful words are ‘But You Are Free’. You don’t need to forgo one for the other. Email is not dead, SMS is still relevant and physical stores and branches will not be replaced by iBots. Never undermine the ‘offline’ interactions. Offline is most definitely ON. Helena Woo is the Head of Client Services at Digital Alchemy. With over 20 years experience working in this field with blue chip companies including banking, insurance and retail, there’s not much she hasn’t come across, which means she knows what clients want and better still, she speaks their ‘language’.